For some, the unknown path of investments, retirement and taxes can be overwhelming and unclear. To ensure a smoother ride, we can help guide you through the entire planning process. This includes connecting tax planning, estate planning and wealth management to what is important to you. What is important to you? What planning have you done? What are your goals? WHY GREEN STREET CAPITAL AND HKFS? Green Street Capital partners with HKFS, a wealth management company that specializes in accounting and law firm clients. Founded by the partners of Honkamp Krueger & Co., P.C., a Top 100 CPA and business consulting firm, HKFS has a thorough understanding of navigating the special relationship between advisors and their clients. They work seamlessly with us to offer you an all-encompassing and guided approach to financial planning. 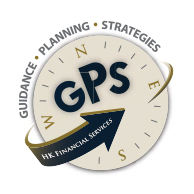 *Advisory services provided through HK Financial Services (HKFS), a Registered Investment Advisor. Insurance products offered through many highly rated carriers. HKFS Inc. is independent. Please be advised that Registered Representatives affiliated with HKFS hold various licenses in various states. For residents of states in which registration is not held, proper licenses and registrations must be obtained by the Registered Representative before proceeding further. No part of this communication should be construed as an offer to sell any security or provide investment advice or recommendation.